When we talk about No Man’s Sky, we like to talk about the maths involved in creating the visuals, but really it’s our artists that give the game its beautiful style. 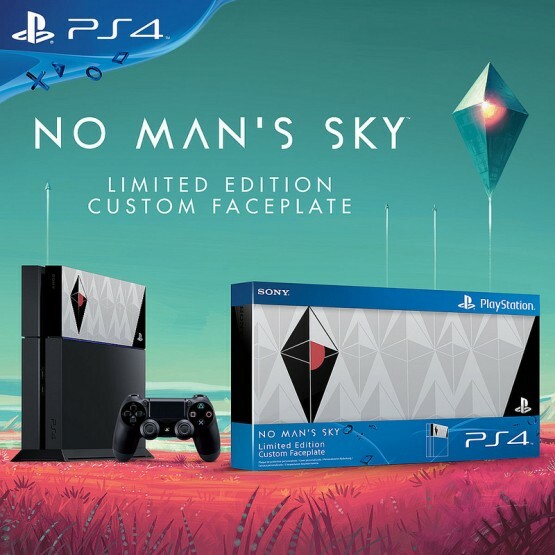 In addition to the above, Hello Games also offered a look at the No Man’s Sky limited edition custom PlayStation 4 faceplate, which we’re told is exclusive to SIEE regions. For a full list of countries in which retailers will carry the faceplate, follow the source link below. No Man’s Sky is releasing for the PlayStation 4 on June 21. In case you haven’t already, check out its latest gameplay footage which highlights NPC interactions, alien species, and more.